A place to discuss telescoping rods like tenkara, keiryu, seiryu and more! This is a category that can get a little "off topic" from tenkara and fixed line fishing. Are you a Nipponophile in addition to loving fishing? Here's the place to talk about all things related to that. Do you love Japanese food? Here's your place. Are you heading to Japan to fish? Tell us about your plans here. Are you from Japan and want to share about your country? You get the idea. A place to talk about anything tenkara related! If you happen to talk about hybrid tenkara forms of fishing here, that's okay too. 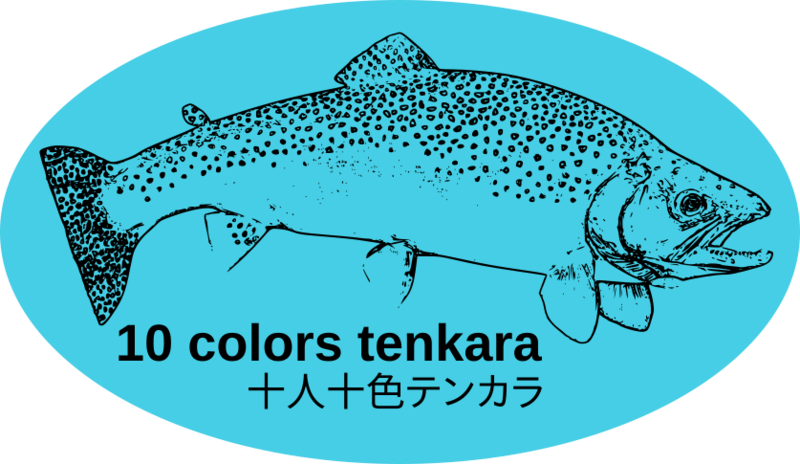 The use of the marketplace is between individuals and is for the express purpose of buying/selling tenkara gear and related goods only. The use of the Marketplace is not guaranteed by 10colorstenkara.com and by using it you agree to hold 10colorstenkara.com free from any liability, including, but not limited to any financial responsibilities. By using the marketplace you forfeit all right to bring suit for whatever reason against 10colorstenkara and/or its owners. Are you planning a big trip to Japan? Share your thoughts here. Are you traveling to another state, province, prefecture, or region? Maybe someone here can suggest where to go or would even meet up with you to fish and show you around. Are you going down the road from where you live? You never know, maybe someone here is traveling to where you live and wants to know more. Also use this space to share the trips that you have taken, what gear you used, what kebari/flies worked well for you and anything else about your trip that you think others may enjoy. A place to talk about kebari and all other types of flies used in tenkara! Here's a place to talk about other non-fishing related topics that may strangely cross over into your fishing interests; or they may not. Just have fun. A place to talk about books, mooks, magazines, other websites and more! A place to discuss tenkara, camping, hiking and the great outdoors!